The Marylanders Grow Oyster program is in need of waterfront residents to help clean and protect cages of young oysters during their vulnerable first year of life. 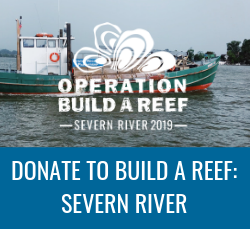 Managed by the Oyster Recovery Partnership (ORP) in conjunction with the Maryland Department of Natural Resources, the program provides volunteers with cages of spat on shell, or baby oysters, to care for from fall through summer. The cages protect the young oyster from predators and require minimal care, mostly rinsing and light scrubbing to ensure they remain clean of algae and silt. They are delivered to homeowners in the fall and our collected in the summer once they reach about a year in age. The program currently serves dozens of Maryland tributaries, each led by a local coordinator who works to recruit participants, organize delivery and develop a collection plan. Last year, more than 2,000 waterfront property raised nearly 2 million new water-filtering oysters that were planted in sanctuaries throughout Maryland waters. The program began in 2008 with approximately 900 oyster cages cared for by 170 growers along the Tred Avon River. With the help of partners and participants, ORP has expanded the program to nearly 8,000 cages ─ exceeding the initial goal of 7,000 ─ located in 35 tributaries from the St. Mary’s to the Chester river. Waterfront property owners who would like to get involved in the free program are asked to visit mdgrowoysters.org and complete the brief application form by Aug.1, 2018. 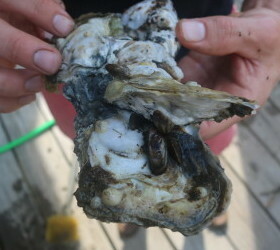 Tributaries must have enough water depth and salinity to support oyster survival and growth.